Catering to broadcast and production at all levels – HD, 4K, High Dynamic Range, High Frame Rate, and IP. Asia Pacific, 26 June 2018 – In today’s competitive media landscape, technologies are key enablers that achieve workflow and cost efficiencies, in the delivery of compelling and immersive viewing experience. This year, Sony continues to participate in BroadcastAsia (BCA) 2018, capturing the future and reshaping the broadcast value chain. At BCA 2018, Sony is demonstrating its wide array of offerings to meet the needs of today’s most demanding professionals – achieving creative freedom through 4K, High Dynamic Range (HDR) and High Frame Rate (HFR), and exceeding expectation with end-to-end IP. For the first time at BCA, Sony will be showcasing VENICE – its next generation motion picture camera system with forward thinking full frame 36mm X 24mm sensor, phenomenal colour science and user-friendly operation that push the boundaries of large format image capture with exceptional picture quality. 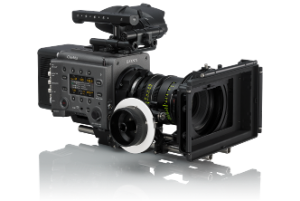 As one of the first manufacturers to embrace the full frame technology in high-end digital cinema camera systems, Sony’s VENICE is generating remarkable interest within the global cinematography community and fast establishing itself as a versatile, high-end shooting solution capable of delivering truly cinematic results. Sony realizes imaging power made portable with both the PXW-Z280 and PXW-Z190. As the world’s first handheld 4K 3-chip camcorder, PXW-Z280 is Sony’s latest flagship handheld camcorder to deliver affordable 4K content production for TV. It adds vivid imagery and delicate colour gradation with 4K 4:2:2 10-bit. 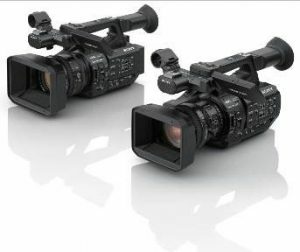 Delivering high sensitivity of F12 (59.94p), long zoom ratio and deep depth of field, the PXW-Z280 is extremely ideal for new gathering, on top of its enhanced network features, versatile formats and interfaces that allows for direct-to-air workflows. 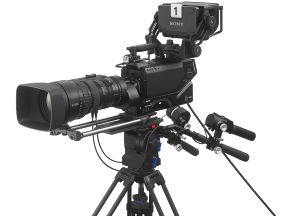 The PXW-Z190 is a superb all-rounder with enhanced usability to achieve various video expressions, making it ideal for independent shooters in the applications such as corporate, event production and education. Equipped with three 1/3-type Exmor R CMOS image sensors, the 4K compact camcorder captures RGB light independently and delivers 4K 50p/60p imagery with high resolution and a wide range of gradation. 4:2:2 10-bit ensures vivid and rich colour content in HD. Both models are equipped with Advanced Face Detection Autofocus (AF) including “Face Priority AF” and newly added “Face Only AF,” and Sony’s Electronic Variable ND filter ensures greater exposure control by smoothly varying the density of the ND filter during shooting while maintaining resolution and depth of field. Today’s TV sports fans demand better-looking pictures, revealing every instant of explosive on-pitch action with astonishing clarity, colour and contrast. A high performance ultra slo-mo solution is required to help directors and camera crews deliver bigger creative returns – faster and more efficiently with fewer operational constraints. Stay ahead of the game is possible with Sony’s HDC-4800 4K/HD Ultra High Frame Rate camera system. The camera’s large Super 35mm CMOS sensor and advanced optical system supports the next-generation ITU-R BT.2020 colour gamut. Teamed with the BPU-4800 4K UHFR Baseband Processor Unit, it’s a complete live solution for 4K Ultra HFR recording and playback. The HDC-4800 sets the pace in live TV sports production, delivering breathtaking 4K picture quality plus streamlined live operational workflow and familiar ergonomics. Sony’s IP Live production solution offers an alternative to the separate infrastructures of SDI for live production and IP for file-based production; creating a single, unified IP network. It lowers equipment costs and lays out a logical upgrade path to 4K, High Frame Rate (HFR), 8K and beyond. As such, customers are provided with more choices while keeping compatibility with existing cameras. This enables them to easily migrate, in a cost effective manner, to the benefits of an IP infrastructure. Sony is building SMPTE ST 2110 into its legacy and new products, making it among the first manufacturers to bring its entire portfolio of IP products into ST 2110 compliance. The HDCU-3100, a new camera control unit (CCU), brings IP capabilities to Sony’s full range of system cameras, from the flagship 4K HDC-4300 with BPU-4000 series, including the new BPU-4500A, through to the HDC-2000 series and HSC fiber system cameras. Combined with a new HKCU-SFP30 option board, the HDCU-3100 is able to support SMPTE ST 2110 Professional Media over a managed IP Network suite of standards. The portable, practical and highly reliable UWP-D series is the superb audio solution for shooting on-the-go applications including news gathering and field production, as well as live concerts, sporting events, documentaries and weddings. Realizing high-quality sound and stable wireless transmission utilizing true diversity reception system, the series allows users with full channel access and up to 72MHz bandwidth. The perfect complement for Sony’s XDCAM handheld camcorders, the UWP-D series delivers sound quality of digital audio processing combined with the reliability of analogue FM modulation, improved transient response performance and provides impressive natural sound quality. 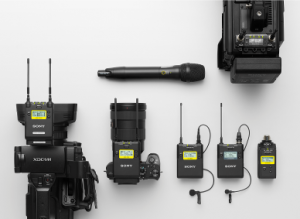 Sony is showcasing an exciting array of products and solutions at BCA 2018 that underlines its role as a strategic business partner for its professional customers, assisting them in building their brands as well as audience engagement. Find us on Facebook, Twitter, LinkedIn, or join us at 4N4-01, Level 4, Suntec Singapore from 26 to 28 June 2018, as we demonstrate how Sony continues its unwavering commitment to empower our partners and customers with the latest solutions and equipment, right at the heart of the show.